2015 has been a great year to date for seeing live music. I saw the year in under the sweltering Byron sun at The Falls Festival. Favourites included seeing The Kite String Tangle (again… 4th time in a year, but keen I know! ), Kim Churchill and Spiderbait. It was unbelievably hot and we had to escape the fiery campgrounds out to the beach to cool down in the mornings. 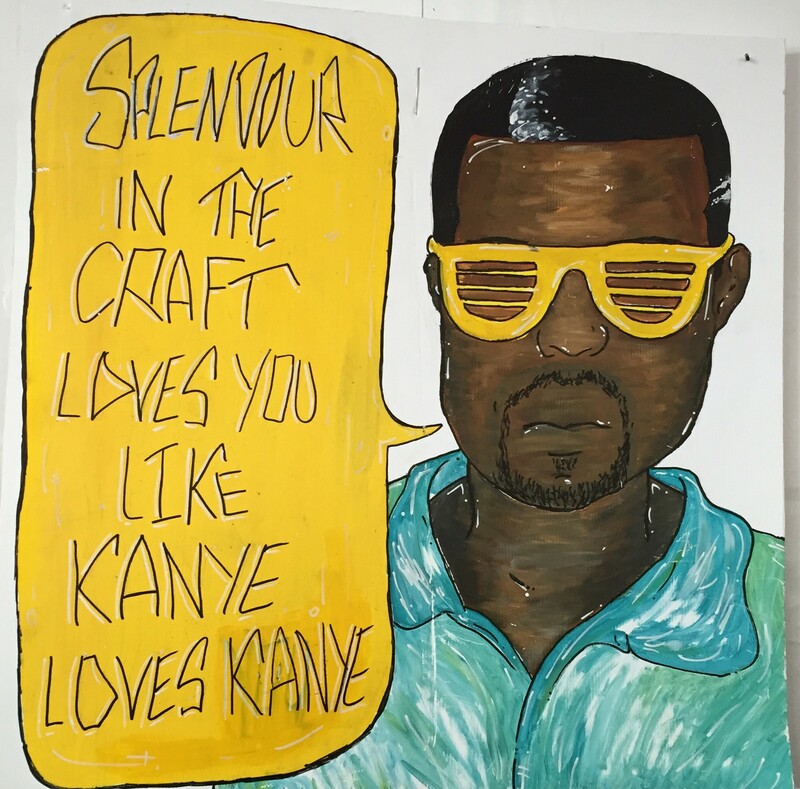 This was closely followed by the St Jerome’s Laneway Festival at the end of January. Where TK Maizda was a revelation. 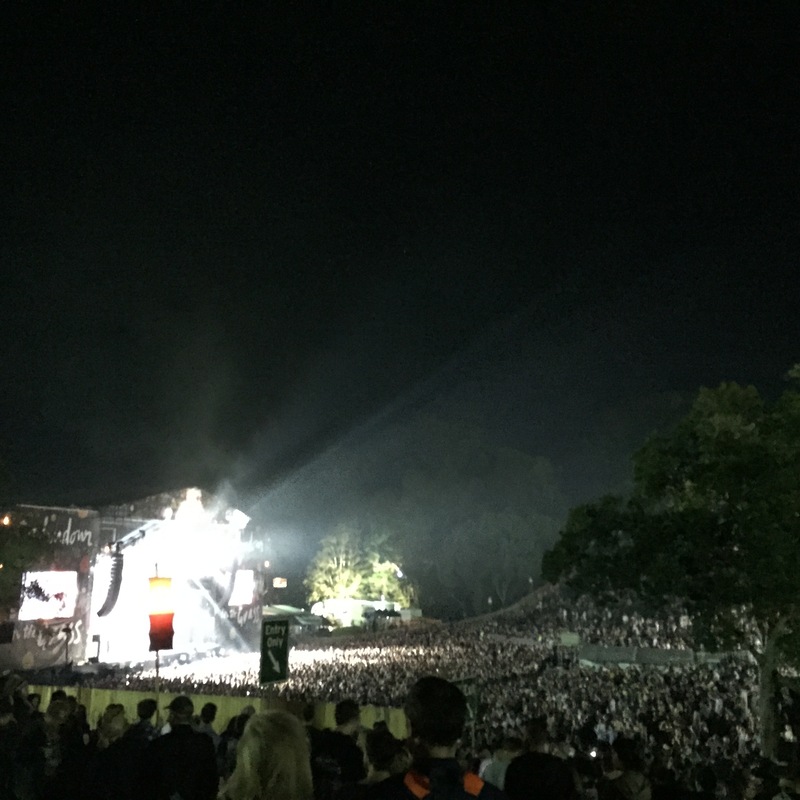 I had wanted to go to see Royal Blood – who killed it despite a tropical hail storm setting in mid-set! We stuck it out though and it was so worth it. Banks and Flight Facilities wrapped up the night. Flight Facilities are just truly brilliant live, I loved them, even though we were almost catatonic from fatigue we propped each up and stayed until the end… and again it was so worth it. I would happily go and see them over and over again. I also managed to get out to a few concerts too, in particular seeing Kasabian and then London Grammar again at the Brisbane Riverstage back in March. I think the LG singer’s voice is a bit like Annie Lennox’s. Something about it reaches into your soul, spine tingling. Splendour in the Grass is the annual “big one” though, it probably the most equivalent Australian festival to Glastonbury. 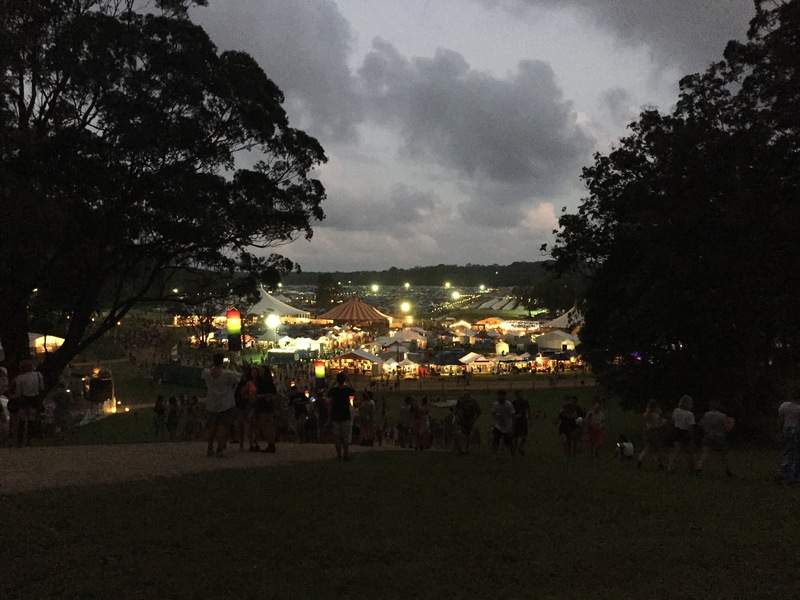 It’s a 3 day (5 with camping) festival also held down at the Byron Parklands. 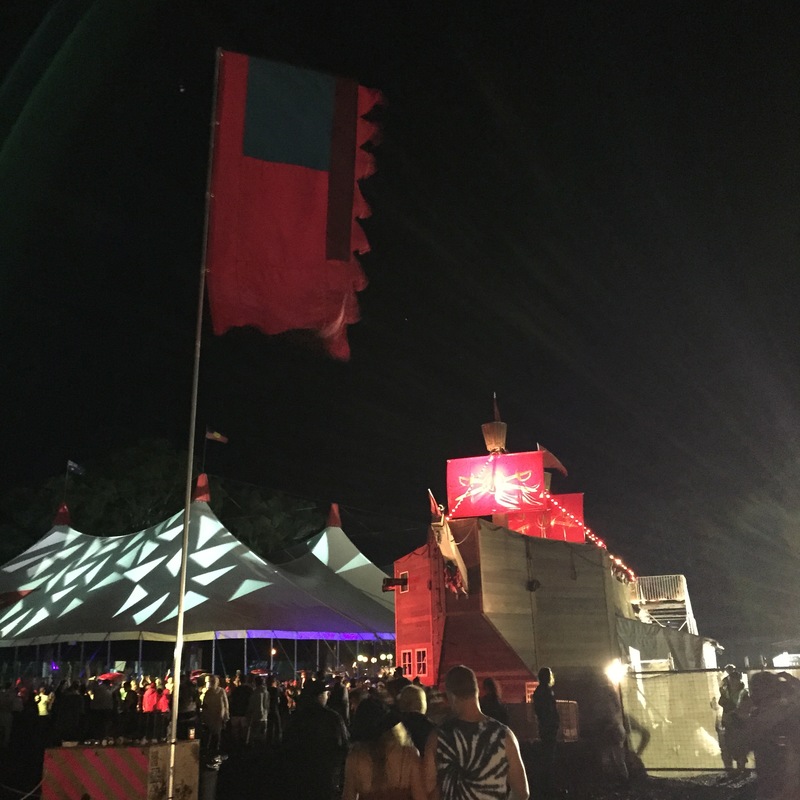 This year it had rained solidly for several days prior and so we were expecting mud… gum boots at the ready… at least it was more similar to the UK festivals I’m used too! Whilst driving down the rain was so heavy we couldn’t see through the windscreen properly, which was ominous. However, we were extremely lucky once we arrived. 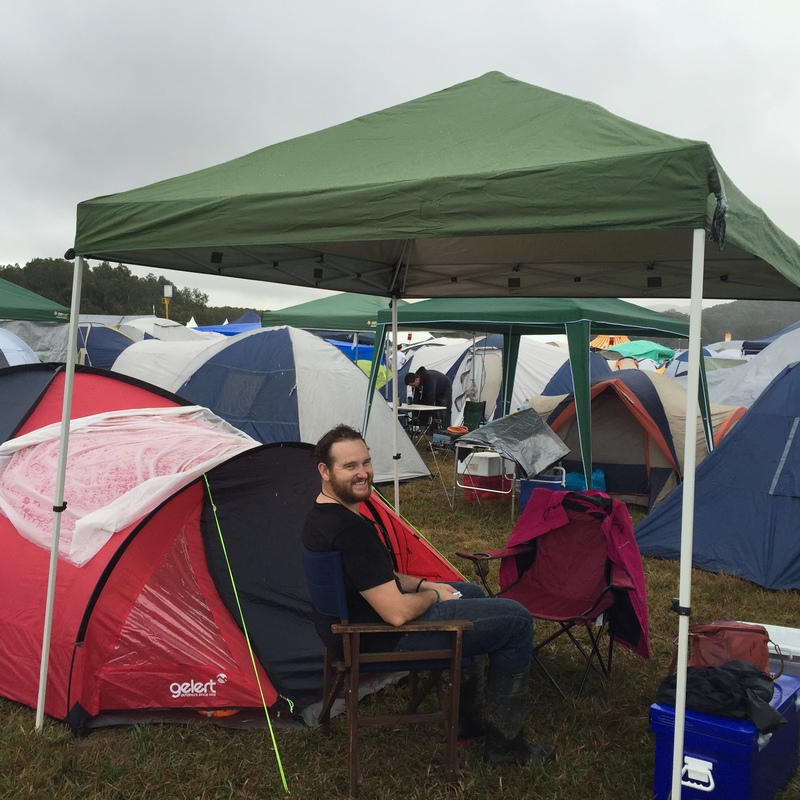 We set up camp during mild drizzle and missed all the big downpours! We also got a pretty good camping spot way-away from the actual festival grounds. This might not sound great initially; however, overall was a huge win. It meant we had a fairly clean and non-muddy camp area without any through-traffic and generally OK toilets! Thursday afternoon was mainly spent hanging out with the neighbours and checking out the main site and stalls. 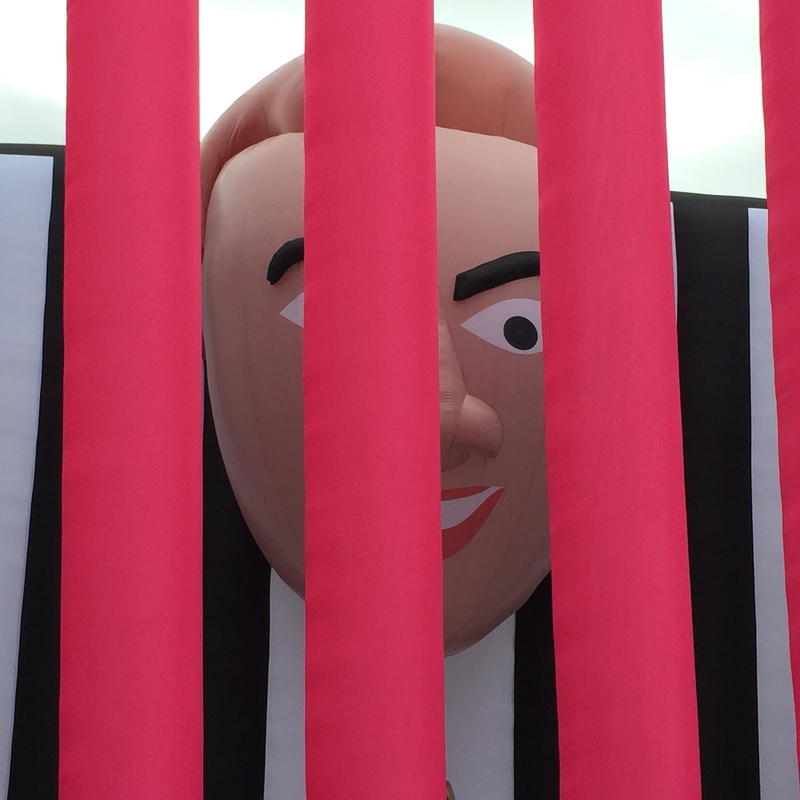 I love the random art around the site, like this giant inflatable bouncy castle of Nicolas Cage in a Cage! 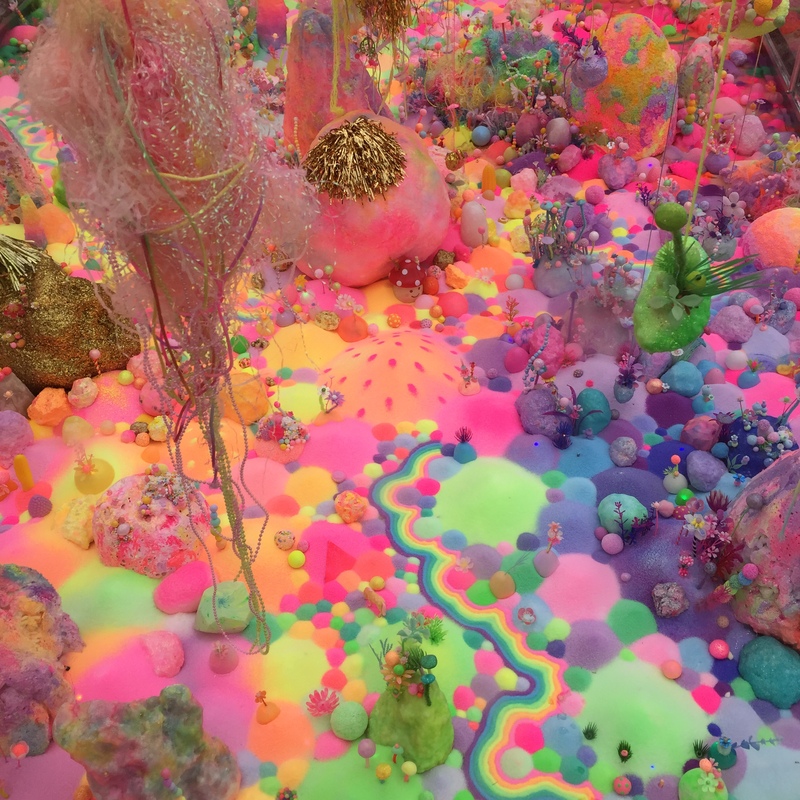 Or this psychedelic foam landscape inside a greenhouse! Friday was a pretty cruisy day, after an awesome fancy camp breakfast we checked out Tired Lion – Triple J Unearthed winners, opening at the Amphitheatre and the only time we got to sit down in the sun on the grass and chill out. Harts – crazy that this band is only 2 guys, you would think it was a 4-5 piece group from the sound – I definitely want to see these guys live again. A bit of George Maple, who was just brilliant, followed by Japanese Wallpaper. I then headed over to Dustin Tebutt, who also featured Eves the Behaviour, who was fairly chilled out and continued the general vibe of the day. In the evening I caught the end of No.1 Dad’s last ever set, The Rubens (awesome), Death Cab for Cutie (definitely not appreciated enough by the audience given how infrequently they tour). Peking Duck were fairy mental, the crowd was as insane as the 8 inch-thick mud. Halfway through their set the heavens opened… It was a shame in a way that so much of their set was other people’s music and not their own and so although it was fun, I wasn’t hugely impressed. We decided to skip Mark Ronson (open air amphitheatre) and go and eat… Where we randomly met a guy who works with a former colleague – small world. It was then time to head off to bed like old timers. Saturday started out with a huge downpour, but quickly brightened up into the sunniest day of the festival. My day kicked off with Eves the Behaviour, who knocked it out of the park. That girl was an amazing voice, she’s just brilliant. I would honestly say the unexpected highlight of the entire festival! 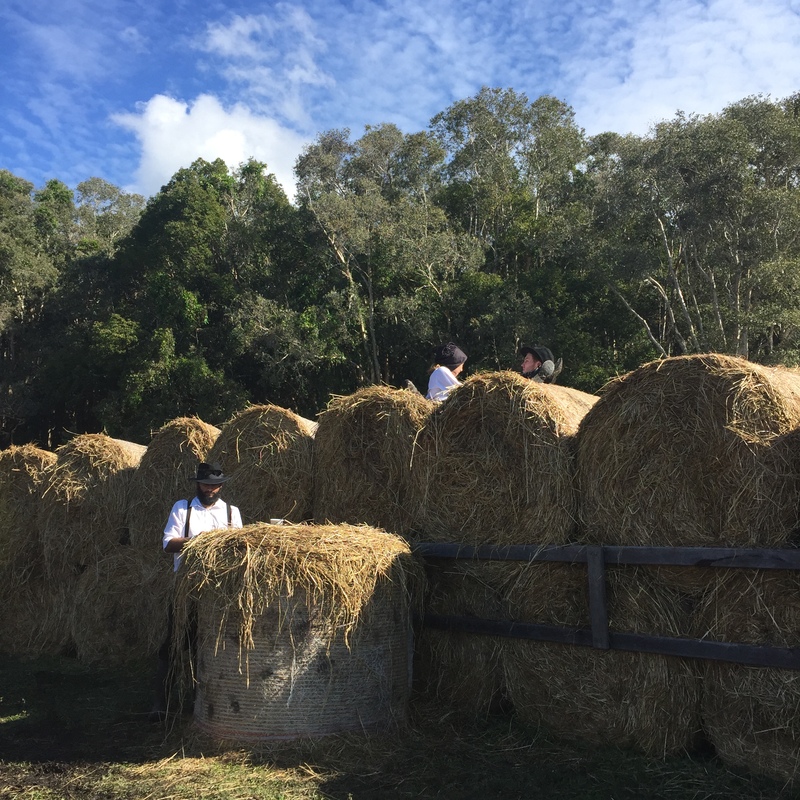 As it was such a lovely day it was perfect weather to hang out at the “Amish Bar” watching hipsters pretend to be Amish, drinking cider and being offered carrot snacks…. 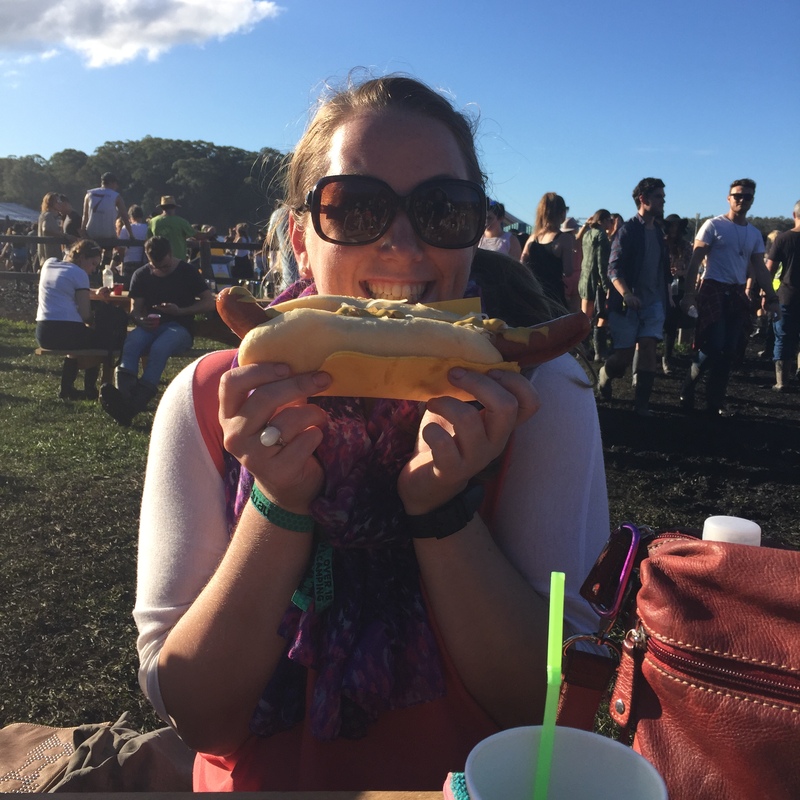 I did have a carrot – gotta get some vitamins in there whilst you can… but also enjoyed this giant double smoked bratwurst! I love all the food stands at festivals and this year had some pretty wicked options. 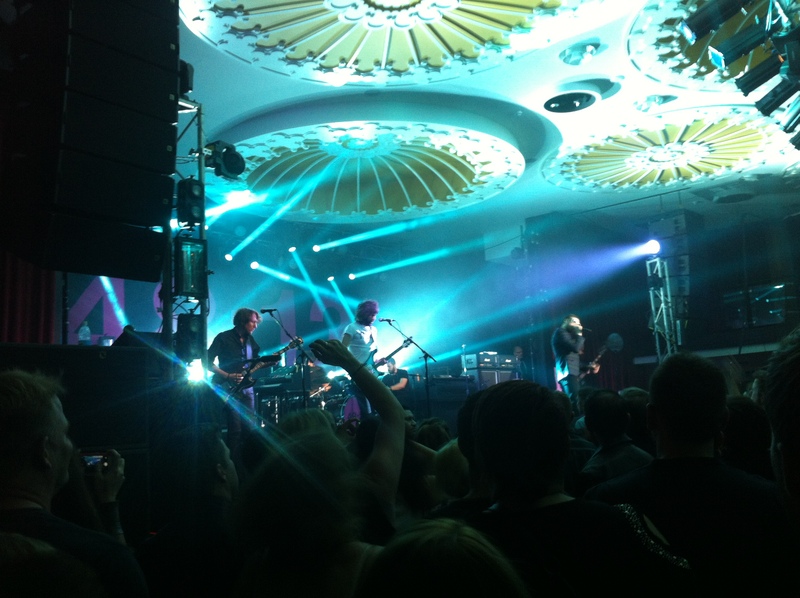 Art of Sleeping, Safia and Meg Mac followed – all of which were great. I am a huge fan of Meg Mac her cover of Bill Withers “Grandma’s Hands” was my favourite song of last year. I enjoyed being able to watch from the vantage point of a giant pirate ship bar overlooking the stage too! 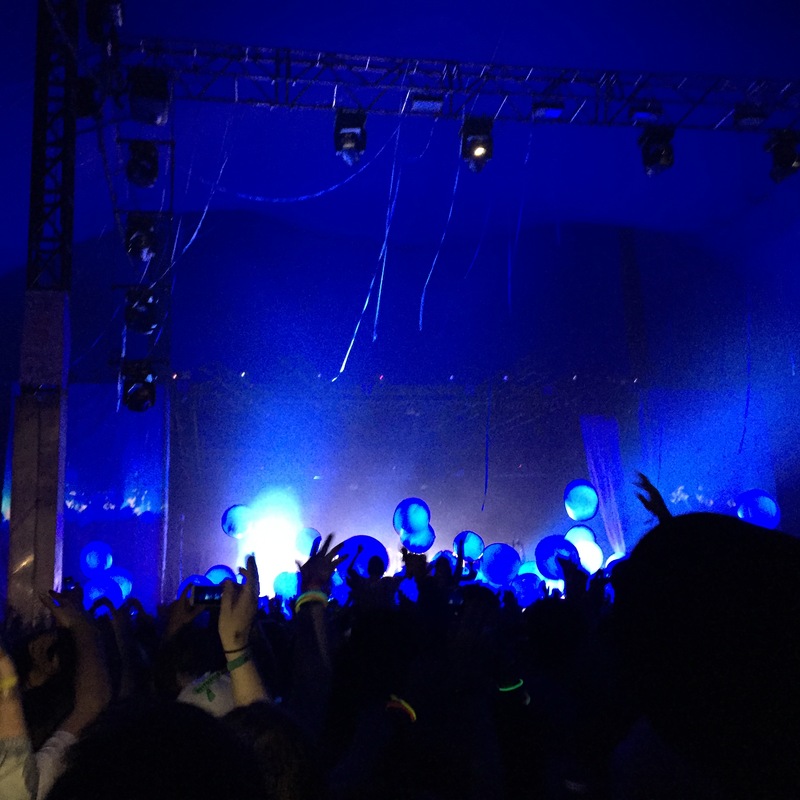 Purity Ring was one of the groups I was most excited to see, but was my biggest disappointment. They had a stunningly beautiful stage set with streams of hanging lights and ethereal globe-like drums. However, this couldn’t mask the bad sound balancing. The singer’s vocals were barely audible and just lost, which was a real shame as she has a lovely voice. I’d be keen to see them again, but maybe in an in-door environment. I’d never really heard of Best Coast before but checked them out early evening as the sun was going down. Thy were good, but as I didn’t know any of their music they did sound a bit “samey” after a while. They were followed by Boy and Bear, who I saw the first half of and were really good. I ended up missing Flight Facilities due to wine drinking, but as I had seen them earlier in the year at Laneway I wasn’t too disappointed. Florence and the Machine headlined the Amphitheatre on the Saturday and the crowd was insane. The combination of a really badly manned one way system, a mud-rink amphitheatre and almost everyone at the festival heading over there it was actually a bit scary. I get a bit claustrophobic and panicky when I’m surrounded by crowds, it stressed me out. That being said we ended up with a clear view of the stage, so it worked out OK.
Florence was absolutely crazy insane brilliant. Her energy on stage was incredible and her voice is so clear it’s unbelievable. She’s really one of the voices of our age. I loved seeing her but was happy to call it a night afterwards and fall into bed… when I eventually managed to get my suctioned-on gumboots off! Sunday was our anniversary – I cannot believe a year has gone by already! Time flies and all that jazz… We actually wanted to see most of the same bands and so had a lovely day roaming around together, checking out bands and chatting to random people over tasty food and wine. Last dinosaurs were a new band for me and I enjoyed them a lot, I’ll have to check out more of their music. 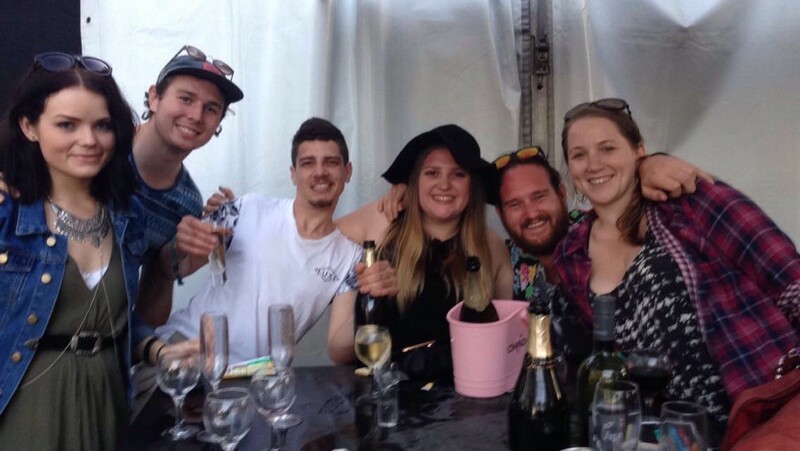 We spent most of the afternoon chilling out at the Moet and Chandon Wine bar, which has great views overlooking the festival site. It’s just a nice spot to kick back and meet people. MSMR was another group that was high of my list of people to see and they absolutely knocked it out of the park. The lead singer has totally wicked fire-engine red hair, like I would love to have, but am too shared to go for. Royal Blood got through their set without a storm setting in this time! But again were in the amphitheatre but would have been better later on in a tent I reckon. Alison Wonderland was a bit disappointing. The crowd were going mad for it, but it just seemed like she pressed play and then didn’t do very much… Even just wandering around on stage… I missed her at The Falls in January when they said she was one of the stand out acts, so I had quite high hopes, but it just wasn’t to be. We left Alison Wonderland early and headed back to the Amphitheatre catching the end of Tame Impala, who I am not a fan of, but thought were good. Blur were the Sunday headliners and I am going to make a shocking statement here and say they were a massive huge shocking disappointment. They started out very low tempo and just didn’t seem to get going for ages, it was just dragging on. It was cold, the venue was half empty and the sound quality just wasn’t that great. Blue were one of the biggest bands of my youth and I was so excited to hear them play Park Life, but it was not to be. They were so Blah that we gave up and went to bed instead… It was a pretty low moment, especially as this had been the second festival I had tried to see them at – the first was Big Day Out 2014 which they pulled out of. I slept like an absolute dream every night we were away, which is surprising given how light a sleeper I usually am. I won’t lie, I was worried about camping in the dead of winter. Our combination of huge 4WD camp mat, Queen airbed, fleece rug, full bedding and thermals made for a pretty toasty tent though. There was also a minor panic moment when it appeared we had sprung a leak – but it all worked out ok and we stayed nice and dry. 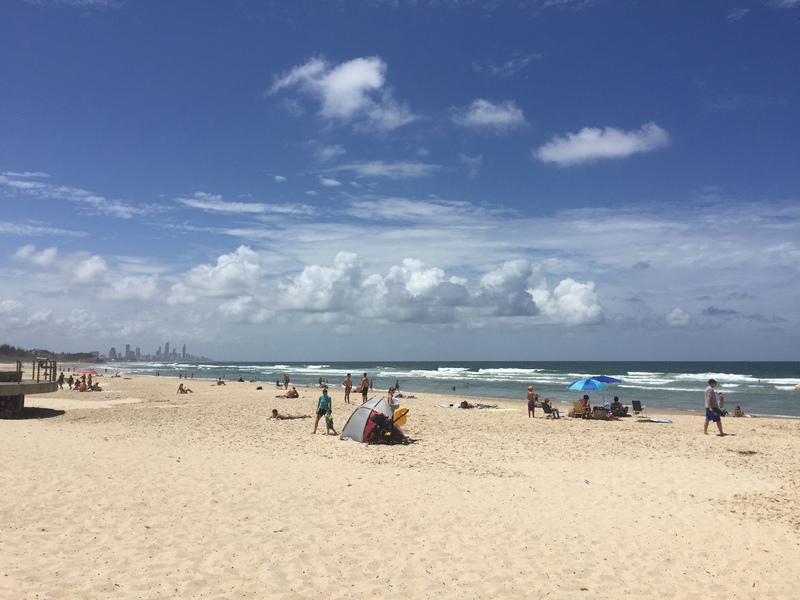 Now back to the real world I go – for a few weeks at least! 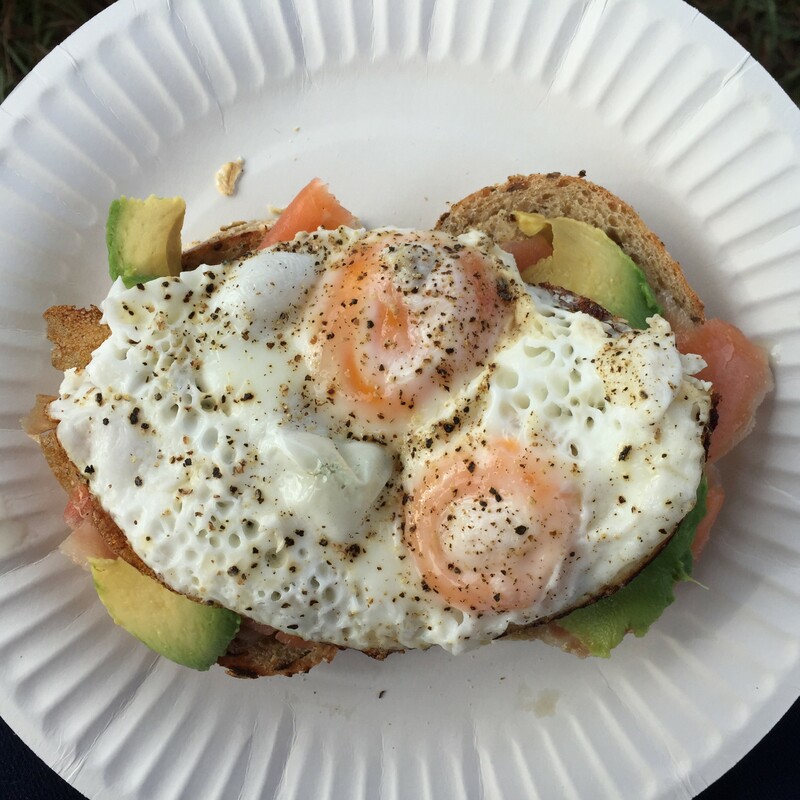 This entry was posted in 30@30, Uncategorized and tagged 30@30, 30at30, Camping, festival, music, Splendour, TheFalls. Bookmark the permalink.